This post is the first in a series dealing with Moodle quizzes. In my next few posts, I will cover the different types of Moodle quizzes seen from a language teacher’s perspective (I teach Danish as a second language). Today’s post is a more of a general introduction to the purpose and benefits of Moodle quizzes in language teaching. When speaking of Moodle quizzes, I refer to interactive activities, most commonly auto-scored exercises with teacher-defined feedback options. 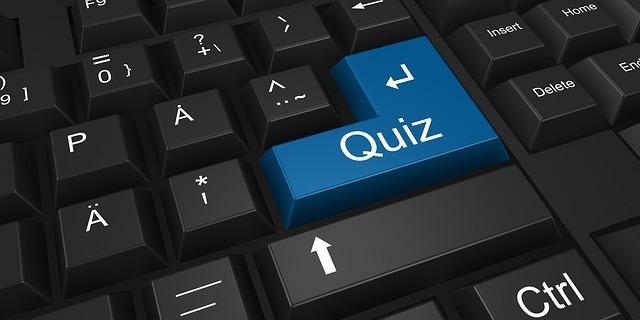 Quizzes are an integral part of any standard Moodle installation. Student scores can be tracked for individual students, as well as the entire class, and for each question or the whole quiz. Quizzes cannot replace written or oral assignments that usually serve a different purpose. Here students are asked to demonstrate their ability to compose coherent texts, e.g. with the objective of analyzing, reflecting or presenting given topics. While assignments, generally speaking, are a suitable means of evaluating a student’s second language writing or speaking ability, quizzes are useful tools to assess a student’s understanding of specific elements within limited focus areas. The Moodle quiz setup includes the option to provide ample and comprehensive feedback, which is crucial if students are to benefit from auto-scored quizzes. When you – as a student – have given it your best shot, but still get it wrong, a plain and simple “Wrong” response will not provide any better understanding of the matter, and will definitely not help you to improve and grow. Giving productive feedback requires that you anticipate the most probable errors your students are likely to make, and customize feedback to each and every one of them. As a teacher, you can probably draw on your vast experience when predicting possible outcomes of your quiz questions. Add an explanation to each model answer – explain why the given answer is wrong in this case, and draw attention to details or hints the student might have missed. I would also recommend adding feedback to the correct answer. If the student was in doubt or simply made a lucky guess, feedback can confirm the student’s hypothesis and enhance the acquisition process. Thorough, comprehensive feedback is what makes the difference between quizzes as a tool for self-paced hypothesis testing (learning) and a mere tool for testing. The only drawback is that yes, it is time-consuming. When you set up your quiz and have to choose the right type of question, keep asking yourself whether the question type you have selected is actually suitable for what it is you wish to assess. Which one, then, is the best method to test what you actually want to test? If you choose the short answer option, the setup will be sensitive to spelling mistakes and too many spaces between words, meaning that the student’s answer might count as wrong even if the tense itself (which is the focus of the exercise) is correct. Low scores due to “off-topic mistakes” like this will lead to confusion and frustration, and distract from the original focus of the exercise. In this case, you have actually tested spelling, punctuation, as well as regular and irregular verb forms instead of testing the understanding of semantic differences, which was the purpose of the exercise. In other words, setting up well-functioning quizzes is also about eliminating irrelevant sources of trouble and limiting possible answers to the essential elements. Student plays a short audio clip in the quiz question. The task is to hear the nouns. Moodle checks the answer – correct or not. Correct means the 3 nouns match my list already entered in the answer somewhere. The short answer quiz question with a wildcard option is okay but the student answer (e.g car, truck, bike) has to be in the same order. It can;t be bike, car truck. I would say the Close question type might work here – you can add three dropdown options, each with a choice of responses (can even be half a dozen similar responses if you want to ensure students are really selecting the correct response). ESLwriter, my apologies for the delayed reply. Yes, I definitely think you can make quizzes like this. I have used quizzes with audio (using the PoodLL plugin, but as Stuart says this will be much easier from version 3.5 onwards). Drop-down is a feasible option, as Stuart suggests. I could also imagine using Multiple Choice or Drag & drop into text/Drag & drop onto image. I understand why you would want students to write the words themselves instead of choosing from a predefined list – after all, having to identify words without scaffolding requires a higher degree of independent language competences. I have experimented a little with the quiz type Short Answer to solve your problem, but short answers allow only for one word per question – so in that case you would have to add three questions (one for car – one for truck – one for bike). Great post Ruth ! I think language teachers have very specific needs in terms of e-learning, and the way they use Moodle, and indeed the way a Moodle site is setup for teaching languages, is really important. Looking forward to reading more in this series!